There’s no right way to take CBD – but depending on your daily habits, you may end up preferring one over another. 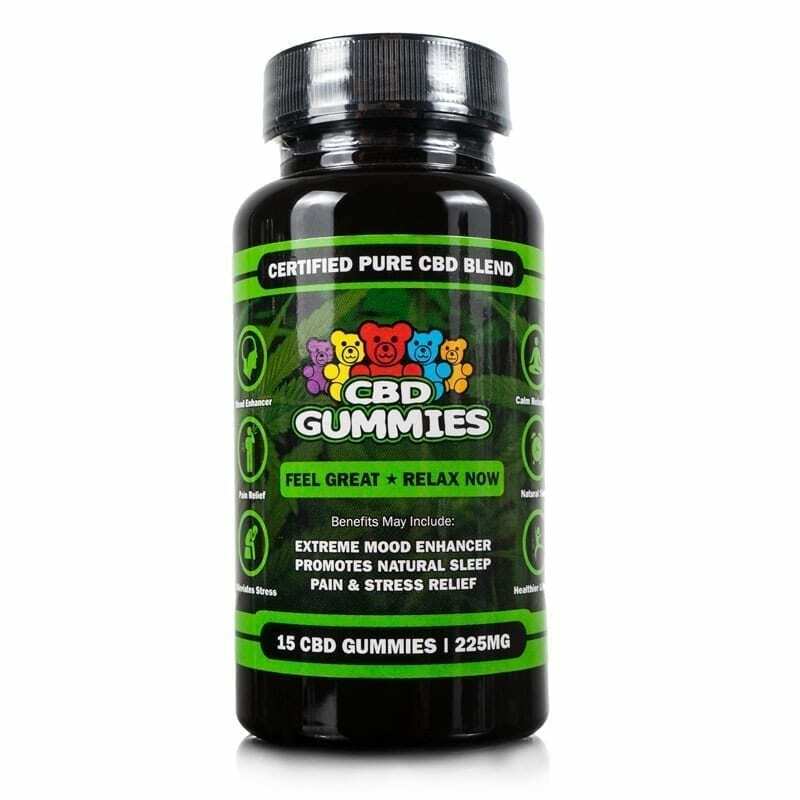 For our customers who are always on the move, CBD Gummies are often the ideal option. You can effortlessly incorporate our gummies into your routine, and you may be pleasantly surprised by CBD Gummy Bears effects and the benefits they offer. Hemp Bombs CBD Gummies are sourced from organic, superior-grade Industrial Hemp grown by U.S.-based farmers, and all our manufacturing happens in-house. 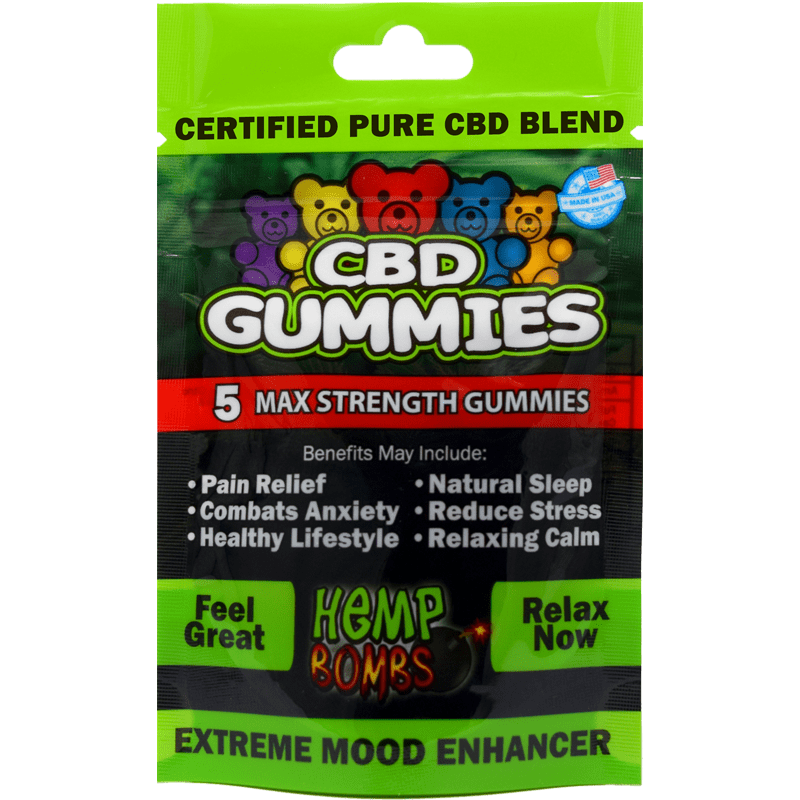 Whether you want a small pack of 5-pack CBD Gummy Bears or a 60-count bottle of high-potency Hemp Bombs CBD Gummies, Hemp Bombs has the product for you. CBD Gummies have been shown to affect the human body in positive ways, which is why it is growing in popularity. Let’s explore CBD Gummies effects and the associated benefits of the compound. Hemp Bombs CBD doesn’t contain any Tetrahydrocannabinol, or THC, the compound found in Marijuana associated with getting “high.” Industrial Hemp only contains trace amounts of THC, and our CBD undergoes a special isolation process to make sure it doesn’t contain any THC. As a result, it is federally legal. CBD affects everyone differently, but it has no known potential for overdose and doesn’t cause the detrimental side effects that prescription medications often warn about. You may feel sleepy the first time you take CBD because of its relaxing properties, but it hasn’t been linked with dangerous side effects. We’re confident you’ll enjoy Hemp Bombs CBD, but you won’t experience cravings or withdrawals. CBD is a non-addictive supplement that can be taken regularly without any fears about habit-forming behavior. You won’t need a measuring cup to experience the effects of CBD Gummies. Each regular-strength gummy is infused with 15 milligrams of CBD, while our high-potency gummies contain 25 milligrams each. 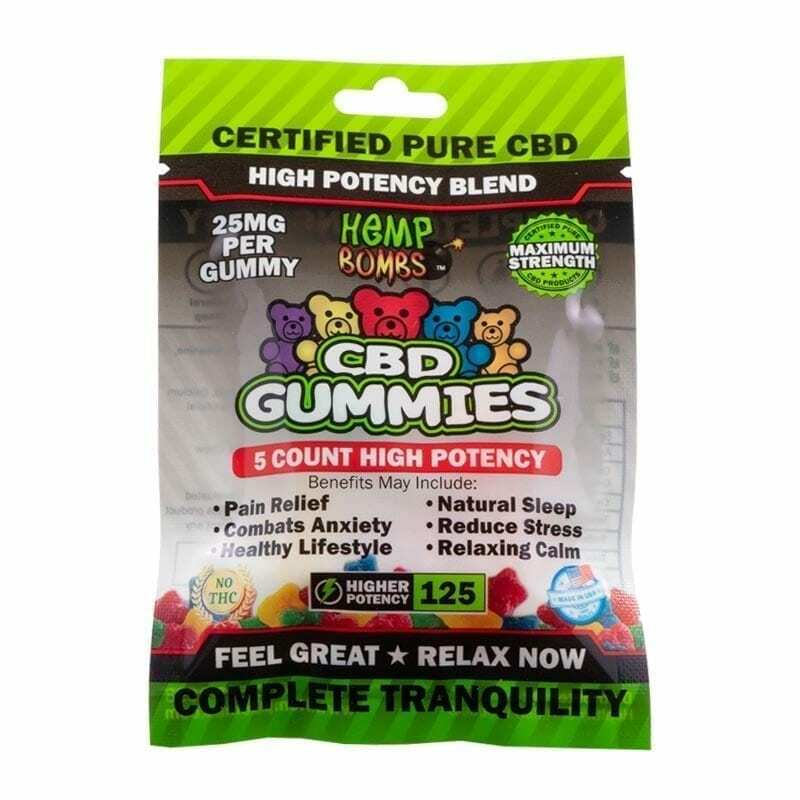 You can even cut a gummy in half if you’d prefer to take less CBD. Chronic pain is often debilitating and incredibly hard to deal with – and the painkillers that doctors prescribe can have harsh side effects and profoundly affect your quality of life. CBD Gummies have the potential to provide relief without any of the negatives of prescription drugs. CBD has been linked to decreased inflammation, reduced pain, improved mood and improved wellness. That’s all thanks to the Endocannabinoid System, or ECS, an essential system with cell receptors that respond to Cannabis once it enters your body. The ECS is responsible for regulating memory, mood, appetite, inflammation and more – which is why CBD has the potential to be so effective. You’ll likely feel the effect of our CBD Gummy Bears within 30 minutes, and the peaceful, relaxed feeling can last for several hours. 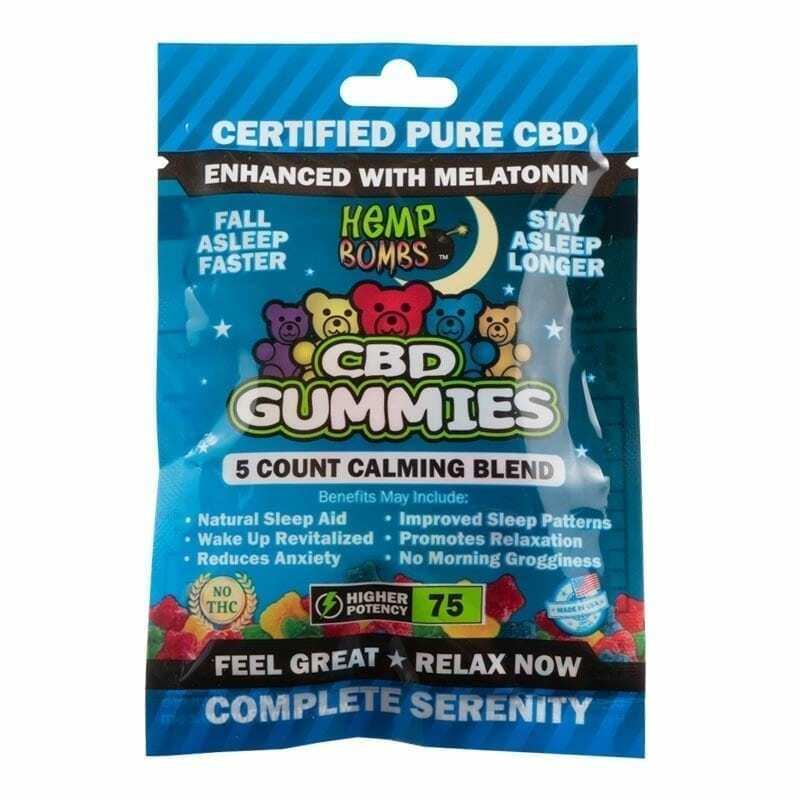 If you take a CBD Gummy before bed to help you sleep, you won’t need to wake up and take another. CBD Gummies are our most popular product for a reason. They’re fun to take, bite-sized and deliciously chewy. 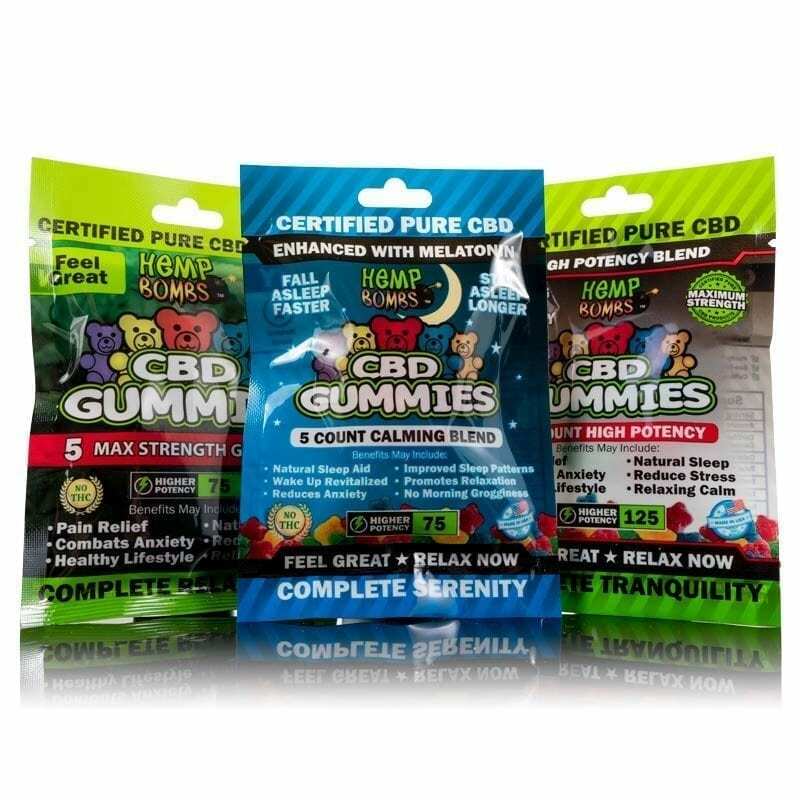 What are CBD Gummies effects? As we discussed, CBD affects everyone differently – you won’t know how it affects you until you take it. But based on what we know about CBD and the feedback we receive from our customers, you’ll likely feel calm after taking a CBD Gummy and more capable of handling stressful situations. Remember, you’ll be able to work, drive and go about your day normally after taking CBD. Because the supplement does not produce a “high,” you will instead notice your body relaxing and your anxiety lessening. Some of our customers even report an increase in focus after taking Hemp Bombs CBD. Whether you’re new to the world of CBD or simply looking for something new, our CBD Gummies are a crowd pleaser designed to promote wellness and improve your overall health.